The ability to accept credit and debit card payments online is the lifeblood of any e-commerce business. Unfortunately, online businesses with complex business models or those not understood by traditional banks find themselves in a conundrum: continue business as a high risk merchant and face higher-than-average processing fees or throw in the towel and close shop. The bad news? 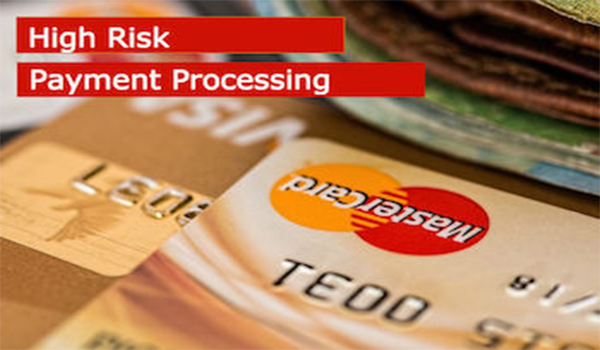 High risk payment processing comes with its own set of unique challenges and hurdles. The good news? There are specialized payment processing services that cater to high risk merchants and get help them get back on track when it comes to processing credit and debit card payments. You can read more about what it means to be a high risk merchant on our FAQs page. In short, merchants are deemed high risk by merchant acquiring banks that view their business model or industry as posing higher than average risk. Some industries that often fall into this category include multi-level marketing, adult membership, dating sites, high volume, startups, direct selling and social apps. Once a merchant is labeled “high risk”, it may have a difficult time establishing a merchant account with a traditional acquiring bank or payment processor. Those that are able to form a relationship with these traditional entities face high transaction fees, rolling reserves, volume limitations and other restrictions. We’ll look at each of these in more detail below. Processing rates for high risk merchant vary widely, depending on the payment processor the merchant chooses. Most companies that offer high risk payment processing services offer rates at Interchange plus a percentage, and that percentage may range from 1.15% to 4%* or higher. That can mean a huge chunk out of the bottom line for many merchants. In addition to processing rates, these payment processing services also charge monthly account fees, which can range from $10 to $50* or more. Rolling reserves are implemented by traditional credit card processors and acquiring banks to lower the risk profile of merchants applying for a merchant account. These processors and acquirers have underwriting standards in place that merchants need to meet in order to obtain a merchant account; in cases where a merchant poses a higher risk, the processors/acquirers will impose a rolling reserve so that they can withhold a percentage of gross sales for a time period. This allows the processors/acquirers to hedge their bets against riskier merchants who may face higher-than-average fraud and chargebacks. The percentage withheld in rolling reserves can range from 5-10% or higher. For e-commerce merchants that bring in the majority of sales from online credit card transactions, this can be largely detrimental to cash flow. Many merchants rely upon their ability to sell high volumes of their product or service to generate a revenue. Direct selling and multi-level marketing businesses in particular may have extreme volume fluctuations or see volume skyrocket during some months. Some payment processing services providers view this as a liability and impose volume limitations or caps on merchants, stifling their ability to turn a profit. Some merchant account providers cap volume somewhere between $25,000 to $50,000* each month, which can severely limit a business’ ability to scale and grow. No matter your business model or monthly volume, there are specialized high risk payment processing services available to help you. These high risk processors offer contracts and solutions that meet your unique needs and ensure you get the best rates. Working with a specialized payment processor can help you avoid some of the unnecessary limitations you would find with a traditional merchant account provider, like volume caps and rolling reserves. The key is to do your homework and find the right high risk payment processor for your needs. Some even specialize in subsets of the high-risk category and cater to specific industries like MLM or to high-volume merchants in particular. Working with a merchant services provider that caters to high risk merchant has several benefits. In many cases, high risk merchants can avoid outrageous processing fees as well as volume limitations imposed by traditional processors. No matter your business model, if you are deemed high risk, you should seek out an experienced payment processor that specializes in working with high risk merchants and understands the treacherous payment processing landscape. These providers can work with you to form a plan and use tailored payment processing services that fit your needs. *These rates and numbers may vary by provider.